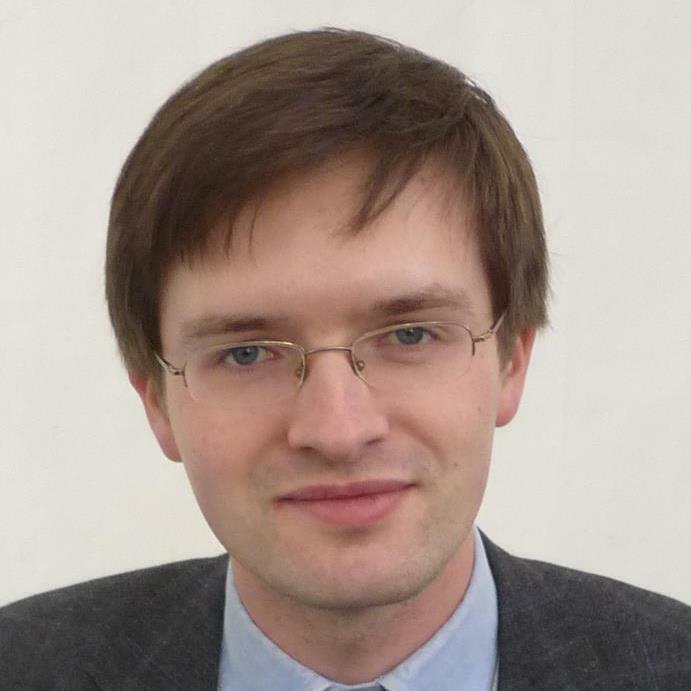 Nikolai Bobrinsky is an independent researcher in the field of transnational justice, living in Moscow. On 19 June 2015 the Venice Commission issued its final opinion on the Law on government cleansing (lustration law) of Ukraine. The Commission initiated review of the Ukrainian lustration law last autumn and adopted a rather critical interim opinion on the law’s compliance with international standards. The Ukrainian government partially accepted the critic and prepared draft amendments to the law. The final opinion took this draft into account. Compared to the interim opinion, the final document is much more favorable to the Ukraine’s lustration initiative. One of the most interesting changes concerns the role of guilt in the lustration framework. In its interim opinion, the Commission noted that guilt must be proven in each individual case and cannot be presumed on the basis of the mere belonging to a category of public offices (para.104(c)). This observation related to the lustration criteria of the law that applied the ban on access to public service to persons who used to hold certain positions in state apparatus during Mr. Yanukovich’s presidency and/or in the period of Maidan events (art.3(1-2)). Such ban “amounts to collective and discriminatory punishment which is incompatible with human rights standards” (para.64). The draft amendments did not change these provisions of the law. However, in its final opinion the Venice Commission left the reconsideration of these lustration criteria to the discretion of the government (para.50), no longer called them discriminatory punishment and abandoned its initial requirement on the proof of individual guilt. The Venice Commission did not explain the reason why its position on this issue had materially altered, giving a de facto “green light” to the central part of Ukrainian lustration scheme. I will try to analyze this problem. The requirements of the individual guilt and the presumption of innocence source from the resolution PACE 1096(1996) on measures to dismantle the heritage of former communist totalitarian systems. They can be found among the criteria of lustration laws’ compatibility with a democratic state under the rule of law(para.12 of the resolution). The Venice Commission referred to these compatibility criteria in its 2009 amicus curiae opinion of the Albanian lustration. Later, in the amicus curiae brief on the lustration law of Macedoniaand in the interim opinion on the Ukrainian law on government cleansing the same criteria were characterized as the “essence” of European and international standards in the field of lustration. Unlike its earlier documents, the Commission’s final opinion on the Ukrainian lustration law does not mention any standards in the field of lustration. Though the opinion cites the Resolution 1096, it does not thereafter use its criteria in the assessment of the law. The scope of the individual quilt criterion is not easy to conceive. What type of guilt is meant here? Is this legal culpability? The Resolution 1096 and the Guidelines to ensure that lustration laws and similar administrative measures comply with the requirements of a state based on the rule of law (attached to the Resolution 1096) provide several arguments in favor of such understanding. Firstly, the Guidelines outline (para. (h)) personal scope of lustration ban as follows: “Persons who ordered, perpetrated, or significantly aided in perpetrating serious human rights violations”. Secondly, they specify (para. (k)) conditions for lustration of “conscious collaborators” (of security or intelligence services of communist regimes): a) actual participation with governmental offices in serious human rights violations; b) actual and knowing infliction of harm to others as a result of such violations. Thirdly, paragraph (k) provides for exculpating conditions – a perpetrator a) was under age of 18, b) in good faith voluntarily abandonedaffiliation with the relevant organisation before transition to a democratic regime, or c) acted under compulsion. If the proof of individual guilt within lustration mechanisms is about legal culpability, then the ban on access to public service is nothing else but punishment. But the Resolution 1096 and the Guidelinesdraw a clear distinction between lustration and criminal punishment. Moreover, the Resolution 1096 (para.11) describes the targets of lustration in words different from the above definition of the Guidelines – “persons who held high positions in the former totalitarian communist regimes and supported them”. It can be concluded that either lustration is a kind of punishment other than criminal one or guilt to be provenwithin lustration procedures is not related to violation of law. Paragraph 31 of the report containing draft resolution 1096 and the Guidelines provides an argument for the first version: being an ‘administrative measure’, lustration can serve to evade the prohibition of retroactive criminal laws. This observation suggests that lustration is a substitution of criminal punishment. In this concept guilt may mean the fact of a knowing serious violation of human rights that was not a crime at the moment of its commission. On the contrary, the reference to the fact of holding a high position in the former regime suggests that the individual guilt has a political, not a legal nature. On the whole, the notion of individual guilt in the resolution 1096 and the Guidelines is far from being clear and consistent. The Guidelines contains some important procedural requirements, including the proof of guilt by a specifically created independent commission(para. (a)), the admissibility of presumption of guilt of senior officials of organisations which perpetrated serious human rights violations, provided such officials have the right to prove their innocence (para. (h)) and prohibition of lustration solely for association with any organisation that was legal at the time of such association (except as set out by in para. h) (para (i)). Several issues remain open, in particular the way how the fact that an organisation perpetrated serious human rights violations should be established and whether this fact can be fixed in law. In its early opinions on lustration laws the Venice Commission emphasized importance of the individual guilt criterion. Regarding the Albanian lustration the Commission noted that “sanctions are imposed on the basis of formal criteria, <…> the mere fact of having held one of the offices listed suffices to receive a “verification certificate B”. This means that “guilt” is not to be proven in each individual case, but will be presumed.” The Commission specified the scope of proof: “This proof includes both his motivation <…> and his concrete participation in the violation of human rights.” (para.106). The amicus curiae brief of 2012 again endorsed the individual guilt requirement.In the interim opinion on the Ukrainian law the Commission noted that individuals subject to lustration had no possibility to prove that despite the position they had held they had not engaged in any violations of human rights and had not taken or supported any anti-democratic measures (para. 65, 106). But the final opinion this position has undergone a critical change. The proof of individual guilt is no longer a key criterion of international standards in the field of lustration. The Commission has virtually abandoned this criterion in its assessment of the law. The government was allowed to determine at its discretion the scope of permissible presumption of guilt based on affiliation with an organisation. Finally, the Commission did not even mention the right of those presumed guilty to prove their innocence. This new approach allows the Ukrainian government to leave intact the core lustration criteria. Under these criteria a person shall be barred from public service based on a mere fact of holding a certain post in the administration of President Yanukovich for more than one year or during Maidan events. The opportunity to prove innocence is not provided. The only exoneration available is voluntary termination of office during the Maidan events. Several explanations of the change in Venice Commission’s attitude towards the individual guilt requirement could be suggested. The Resolution 1096 and the Guidelines address lustration in the decommunization context, while the Ukraine’s lustration law (in this part) covers events that took place two decades after the end of communist rule. The Commission could have concluded that due to this fact the PACE documents were inapplicable to Ukraine. However, in reality the Commission came to anopposite conclusion (para. 18). The Commission might have accepted the fact that both the resolution 1096 and the Guidelines were internally inconsistent as regards the proof of guilt and chose to ignore this criterion at all. However, the final opinion does not contain any reference to such inconsistencies. The reduced significance of guilt can be also explained by a shift in the Commission’s understanding of lustration’s rationale. Without the proof of individual guilt in serious violations of human rights, lustration transforms into an instrument of political accountability for “collaboration” with an overthrown non-democratic and repressive regime. Thewording of the final opinion could support this view.The Commission notes that one of the challenges addressed by the law is non-democratic elites formerly loyal to President Yanukovich (para.27). It stresses that the state has the right to exclude from the access to public positions those individuals who might have shown themselves unworthy (sic!) of serving the society (para.30). The use of such terms as “serious cases of mismanagement” (para.50) and a “misuse of power” (para. 111(d)) while describing the basis of lustration implies that human rights violations are no longer the sole reason for introduction of lustration. The Commission’s new approach, while not unprecedented in the European practice (it reminds of the ECtHR Grand Chamber judgment in Zdanoka vs. Latvia case), virtually legitimates revolutionary justice, allowing post-revolution governments to exclude the overthrown elites from public sector. However, even after the “green light” of the Venice Commission, the Ukraine’s law on government cleansing will be probably scrutinized by other international human rights bodies, including the European Court of Human Rights and the supervisory mechanisms of the International Labour Organization. SUGGESTED CITATION Bobrinsky, Nikolai: Lustration and guilt: Evolution of the Venice Commission’s approach, VerfBlog, 2015/7/11, https://verfassungsblog.de/lustration-and-guilt-evolution-of-the-venice-commissions-approach/.